Photographers love the shallow focus look you can get when you shoot with a fast lens, wide open but did you also know that you can get that same look and feel when shooting movies with a DSLR? It really gives them that film-like feel. Shooting in bright daylight, oftentimes it can be nearly impossible to shoot wide open without blowing out your exposure. It’s easy to do so though, when you have a Variable Neutral Density or Variable ND filter. A Variable ND filter will let you cut the amount of light in your scene by two to eight f/stops. It is essentially a fourth way to control the exposure, working along with shutter speed, aperture and ISO sensitivity. A Variable ND filter is an optically transparent filter that allows you to adjust its opacity and knock down the brightness of the light between two to eight stops, without effecting color or anything else. A Variable ND filter is so useful because it is variable. 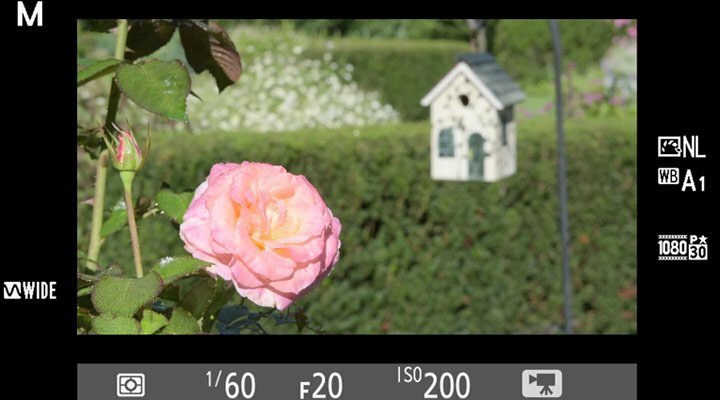 After placing the filter on the lens, simply rotate it to dial in the correct exposure. You can also use it as a substitute for something pros call “riding iris,” which means adjusting the exposure while you shoot as your scene changes in brightness. To do this, you rotate the filter and smoothly adjust the exposure as the lighting changes, like when panning from a darker area to a brighter one, all the time keeping the same f/stop and the same depth of field.